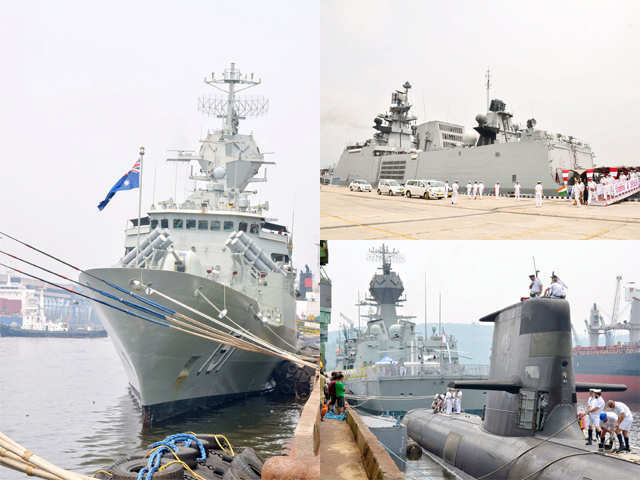 India and Australia have commenced the first bilateral maritime exercise, Ausindex15, in Visakhapatnam, India, strengthening defence cooperation between the countries.The latest development is part of the framework for security cooperation announced by the Australian and Indian Prime Ministers in 2014. This week-long exercise will see the participation of three Royal Australian Navy ships, HMA Ships Sirius, Arunta and Sheehan, and a Royal Australian Air Force AP-3C aircraft.The vessels will train with the Indian Navy warships, including Shivalik, Ranvijayi and Shakti. The Indian Navy's P-8I Maritime Patrol Aircraft will also participate in Ausindex15. The exercise will start with briefings and practical demonstrations ashore. In July, Australian naval forces completed the Talisman Sabre 2015 combined joint exercise with US navy aboard the US 7th Fleet flagship USS Blue Ridge (LCC 19) in Brisbane, Australia. The exercise was designed to improve Australian and US combat readiness and interoperability, and maximise combined training opportunities.